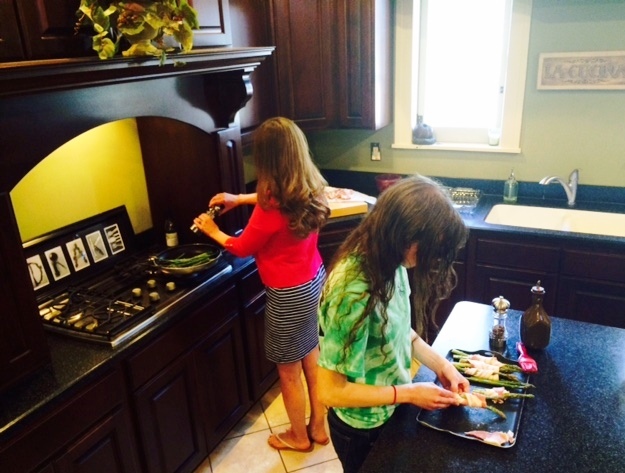 Meals are an experience at our household, whether you’re hands on in the kitchen while the festivities begin, enjoying a glass of wine while we stir up some fun, or awed by the serenade of cuisine set at the dinner table. 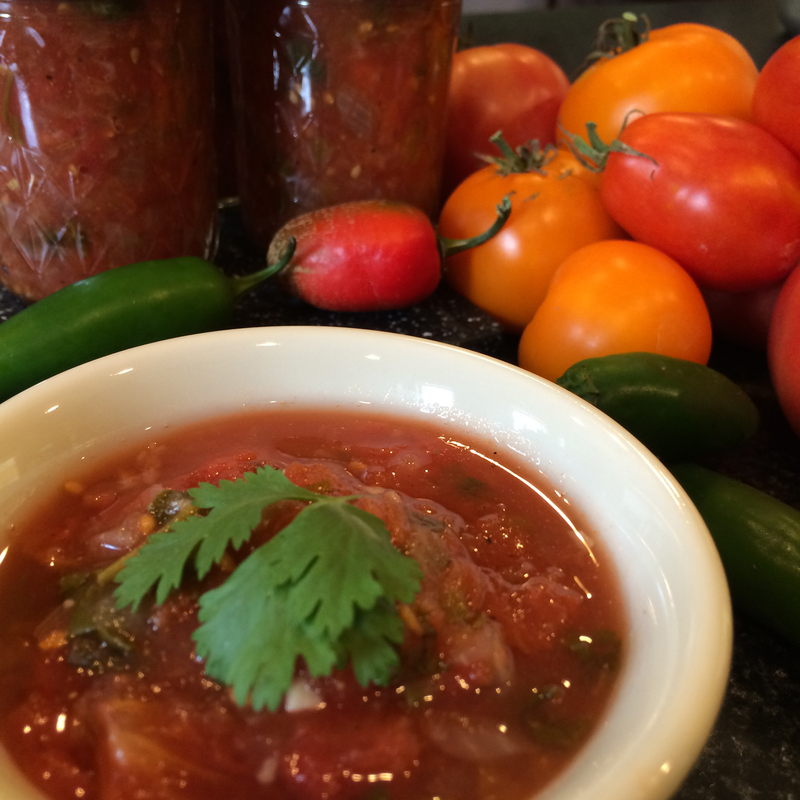 Tastes, smells, and sites to be seen as your senses dance with excitement. 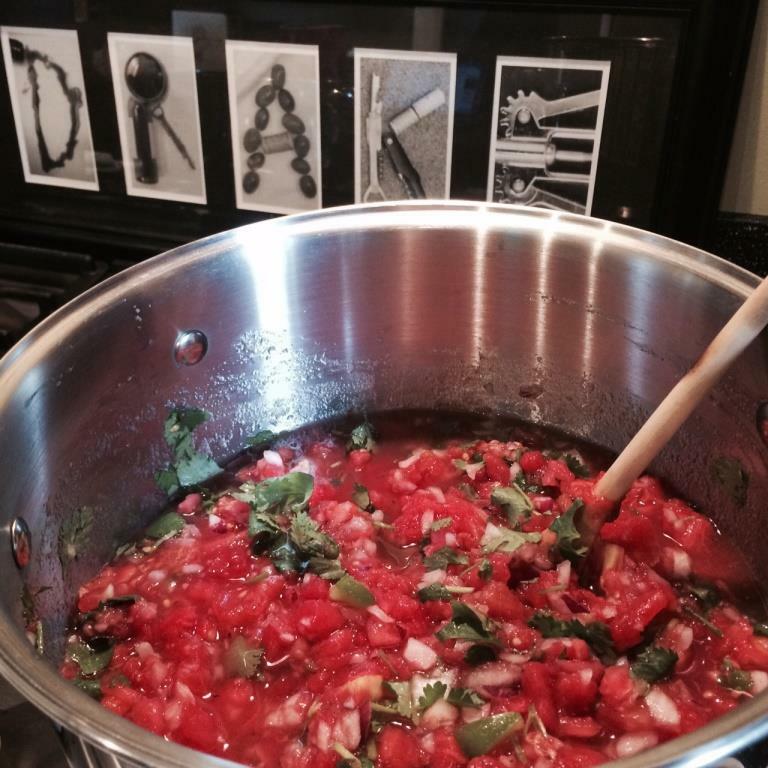 I enjoy cooking and nothing makes me happier than seeing the fresh produce I’ve grown on my farm turned into delicious recipes for everyone to enjoy! Early spring asparagus is so exquisite I normally take a simplistic approach to recipes not to overshadow the fresh flavor. 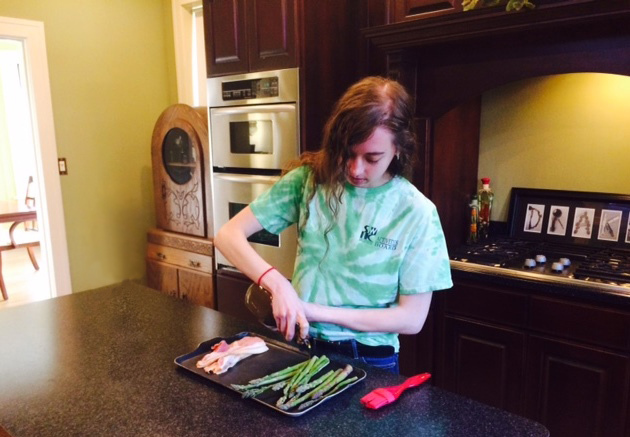 I invited Chef Natalie to my kitchen to prepare two asparagus recipe’s to accompany our dinner. You should always use the best ingredients that are made available to you and that fits your budget. It’s a simple tip but one that makes a huge difference. 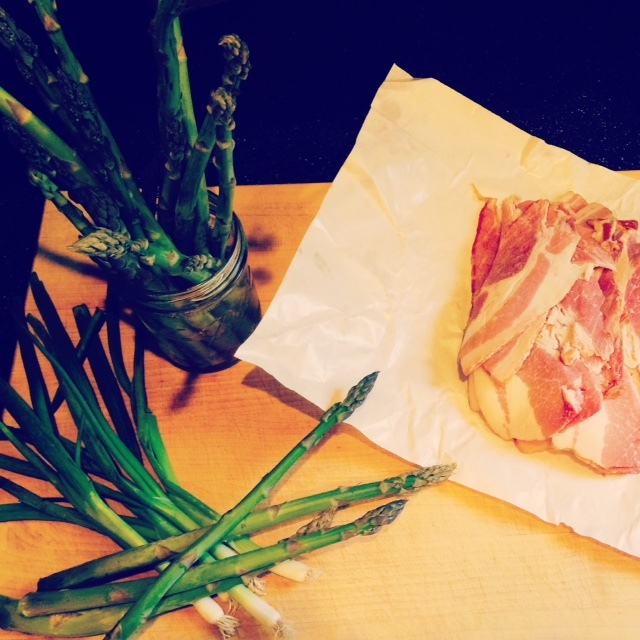 We used fresh thick cut bacon from our neighbors farm to flavor and accompany our home-grown asparagus. Clean the asparagus and break off the end pieces. The stem will naturally break at the tender spots and you can discard the end pieces for compost or use to flavor soups. Lightly brush the asparagus with olive oil and pepper to taste. 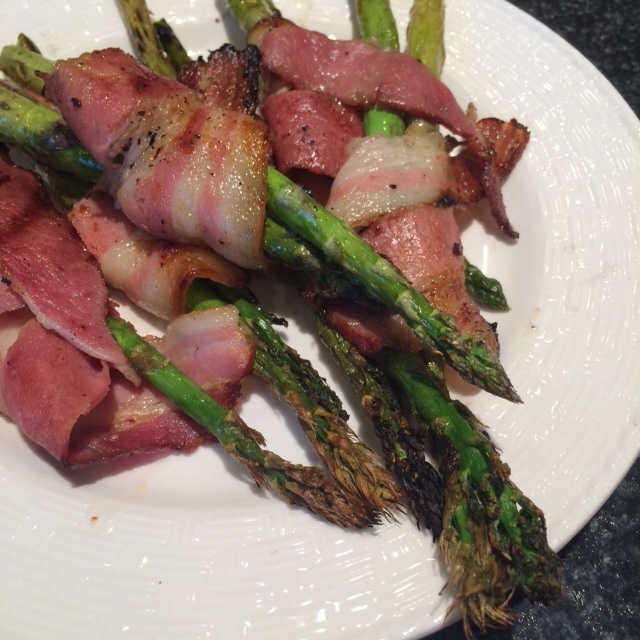 Spiral wrap 2 – 3 pieces of asparagus with bacon. You can secure the pieces with a tooth pick before grilling if needed. 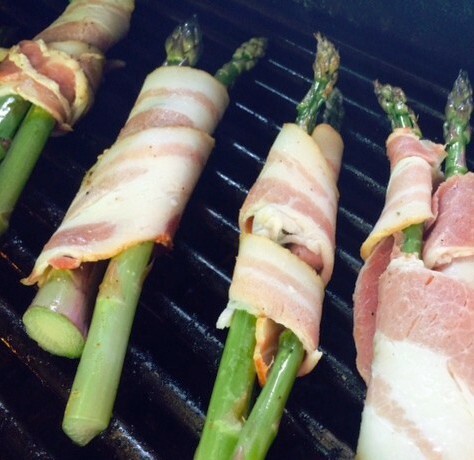 Place the asparagus on the grill and cook until bacon is crisp and spears are tender. Preheat the oven to 350°F. Clean asparagus spears, remove ends, and blanch in water for 2 -3 minutes. 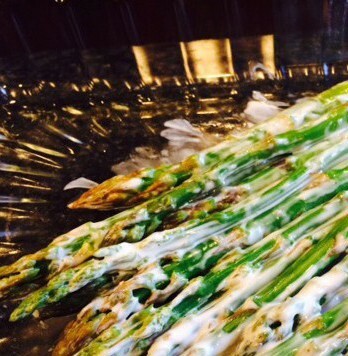 The asparagus should be bright green and still crisp. Drain and place in a baking dish. 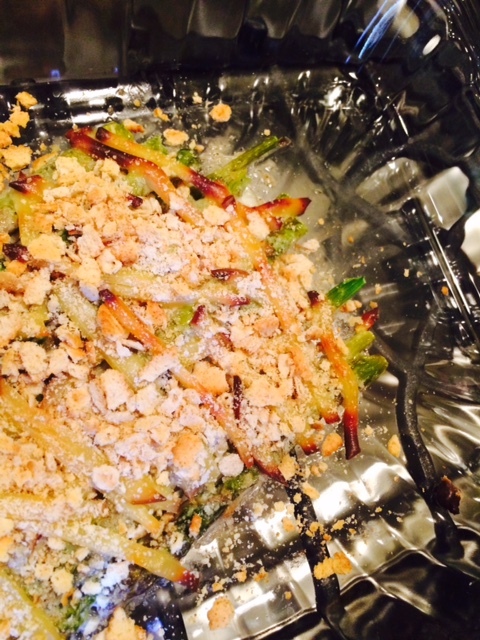 Add dressing and toss to coat, then sprinkle crushed crackers and top with smoked gouda cheese. You can substitute the gouda for parmesan or cheddar cheese if you have that on hand, but trust me the gouda is good. Bake in the oven for 10 – 12 minutes until the top is lightly golden and crisped. This recipe was modified from the original on KraftFoods.com. 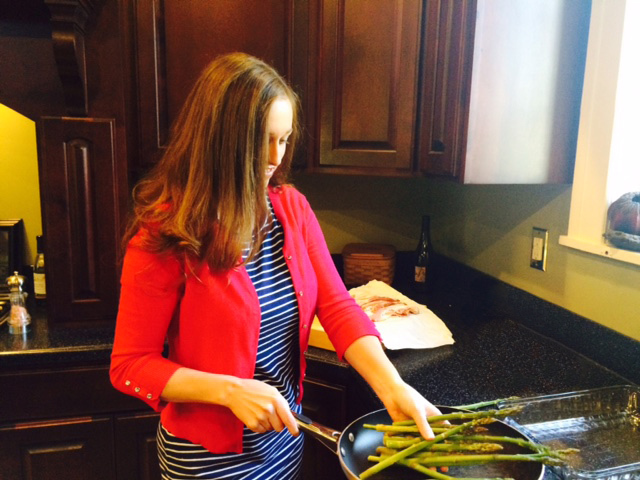 » If you’d like to grow your own, check out my recent “How To” post on Planting Asparagus! 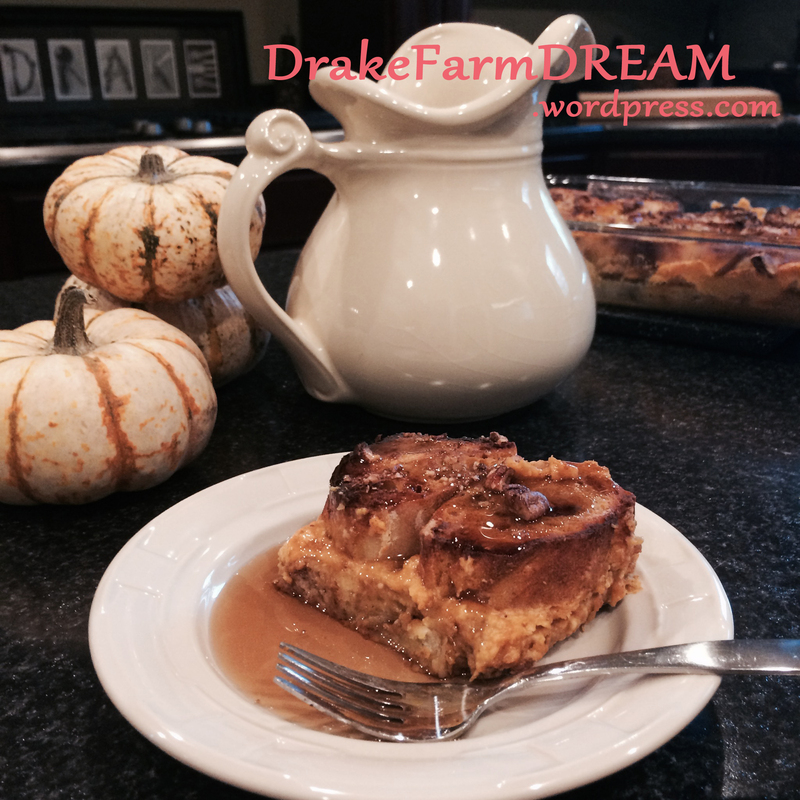 An easy overnight French toast bake with the seasonal flavor of pumpkin. Oh so easy, and oh so Dee-lish! Butter a 9 x 13 baking dish. Slice bread into ½ inch slices stacking two pieces on top of each other and place in dish. Beat cream cheese until smooth. Add ½ Cup sugar, 1 tsp vanilla and salt. Optional – add 1/2 Cup of pumpkin puree, beat to combine. Lay out 8 pieces of bread. Divide cream cheese mixture over bread. Spread on slice of bread and top with another slice of bread to create cream cheese stuffed French toast. Make the pumpkin mixture by beating the eggs. Add the rest of the ingredients and whisk together. Pour over stuffed French toast. Top each piece of French toast with half a slice of butter. 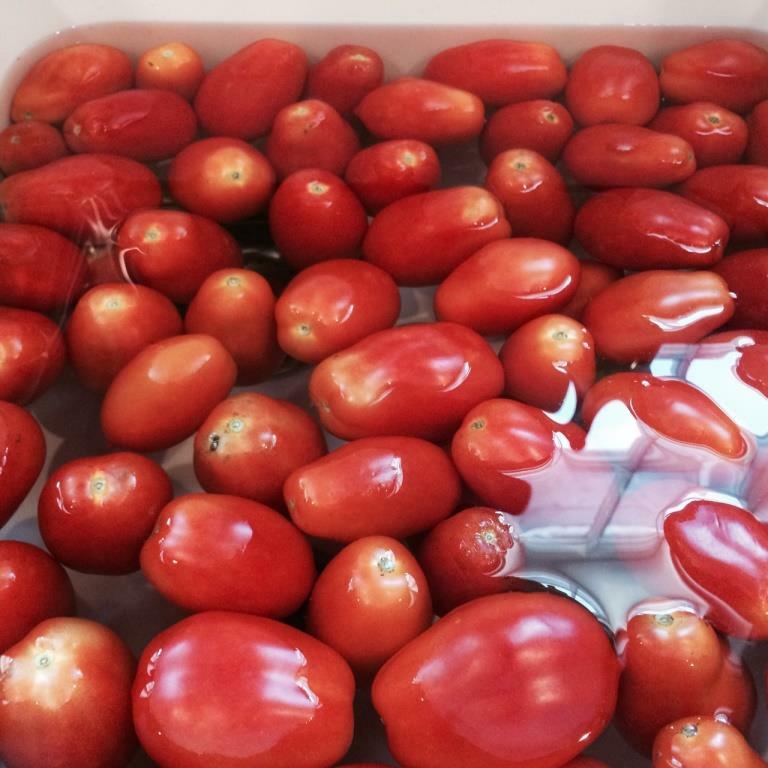 Cover with plastic wrap and refrigerate over night, or for several hours. In the morning bake uncovered at 400 degrees for 25-30 minutes. Serve with warm maple syrup and a dollop of whipped cream! I also add pecans fresh from our farm!